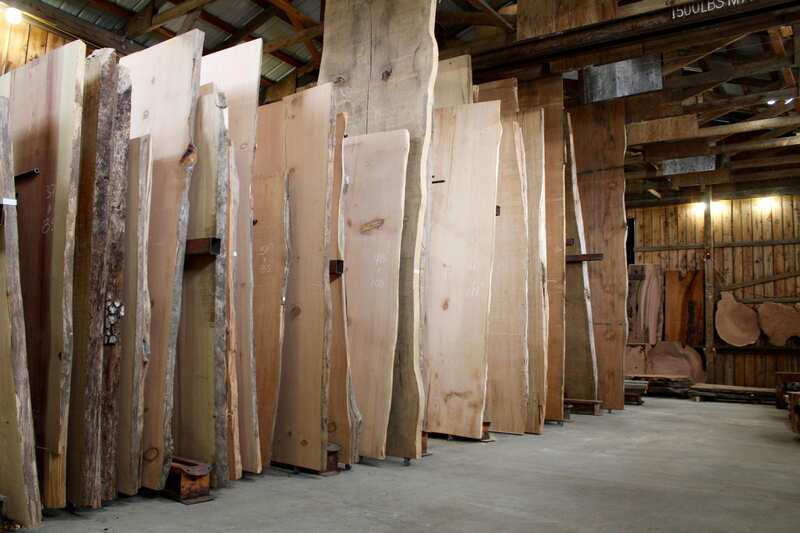 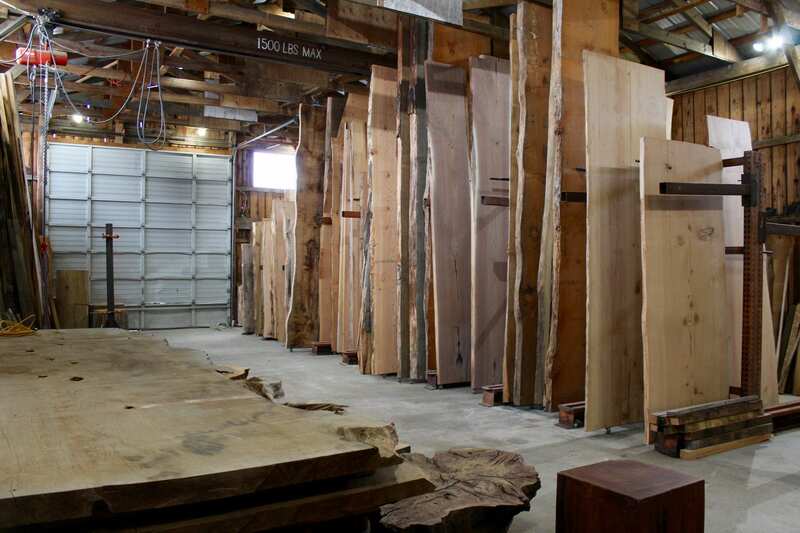 Live edge slabs mix clean lines with the raw appeal of wood’s natural exterior shape. 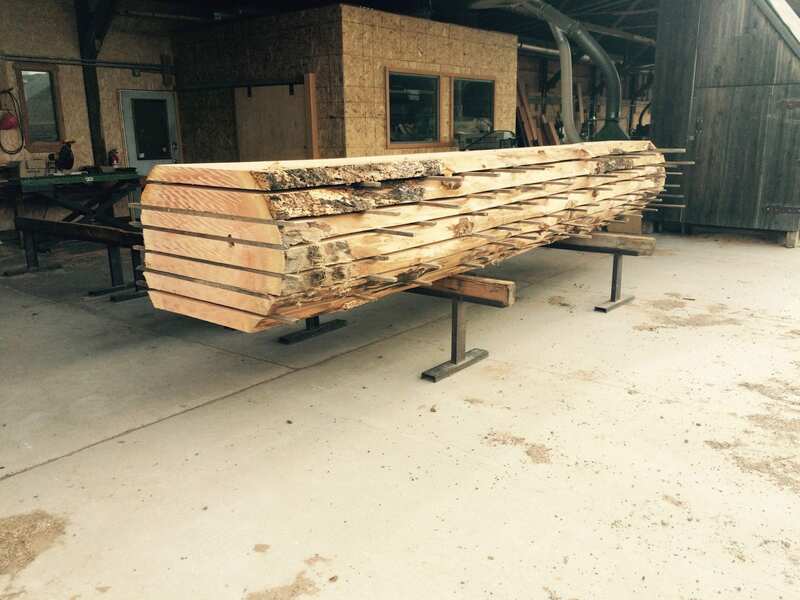 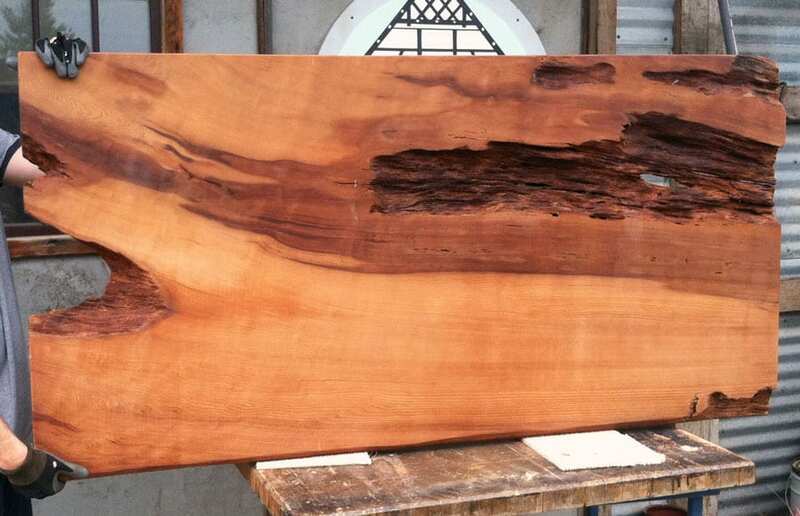 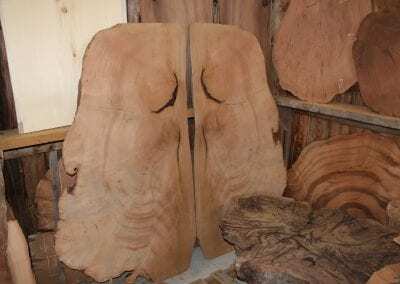 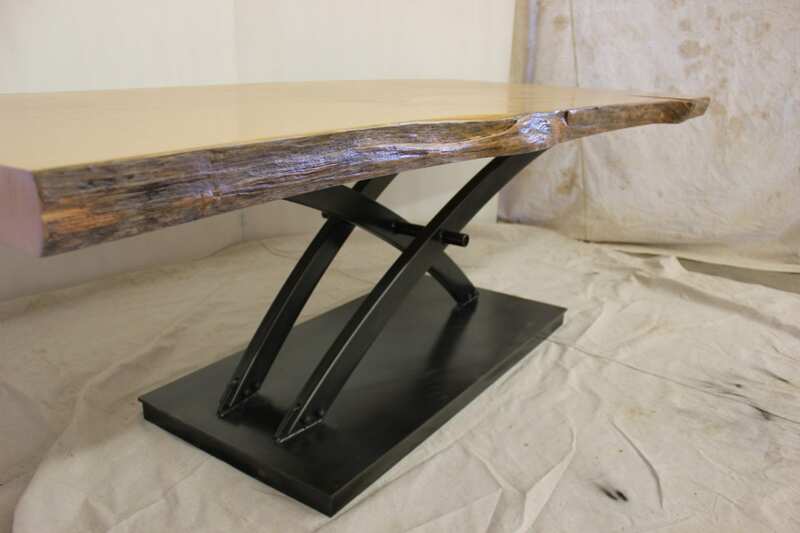 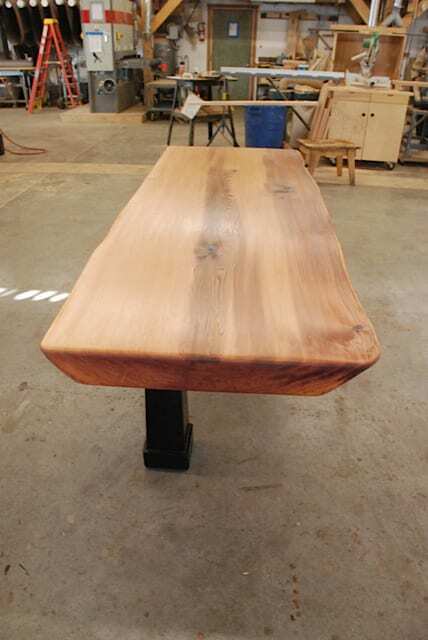 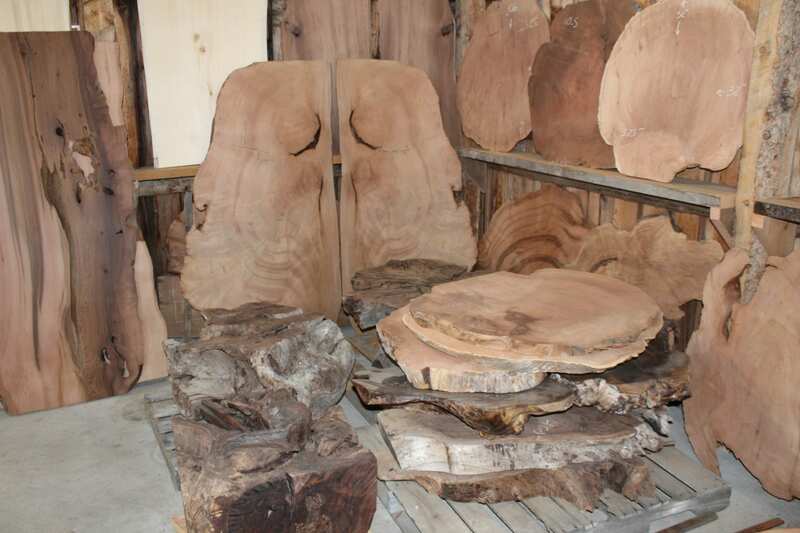 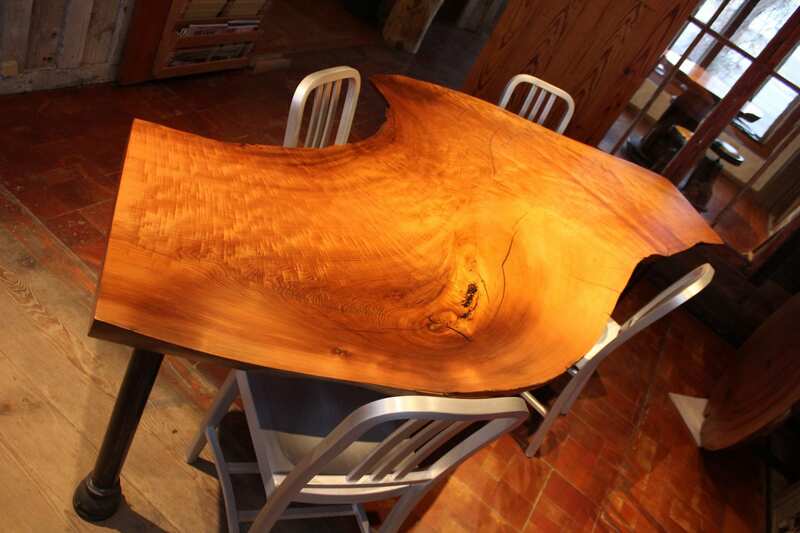 Using live edge slabs allows us to design and build one-of-a-kind furnishings. 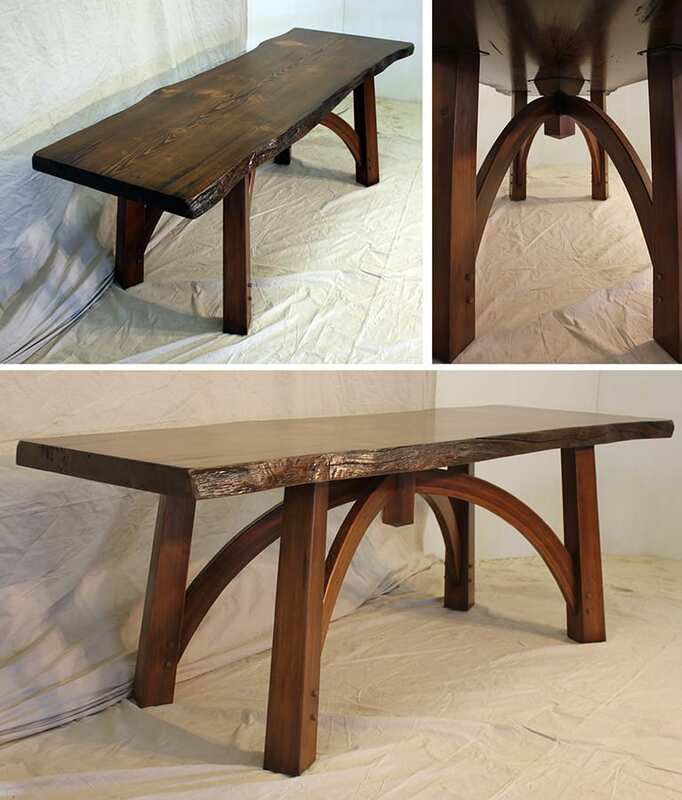 Want something interesting, different, and made just for you? 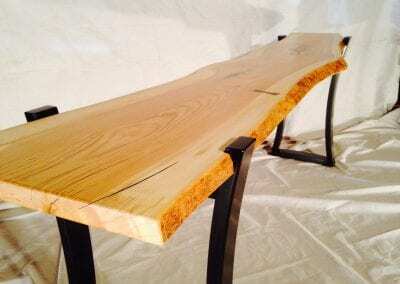 Something only you will have that will draw eyes and provoke compliments on your taste? 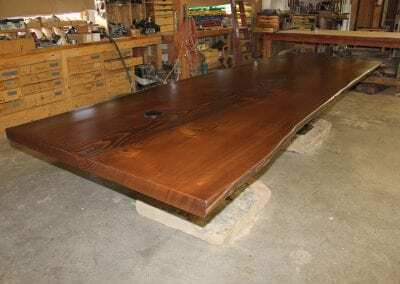 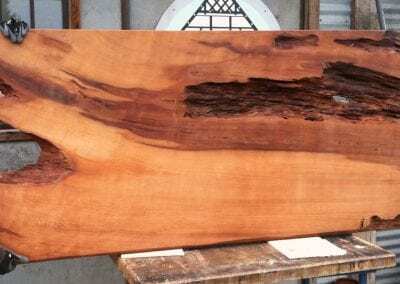 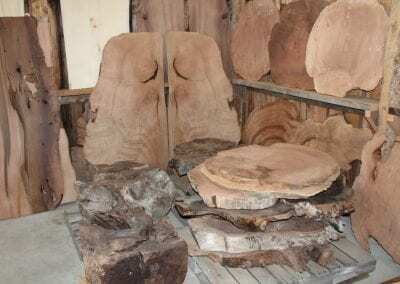 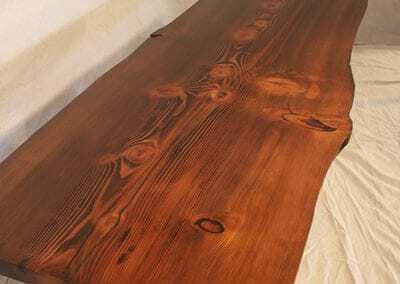 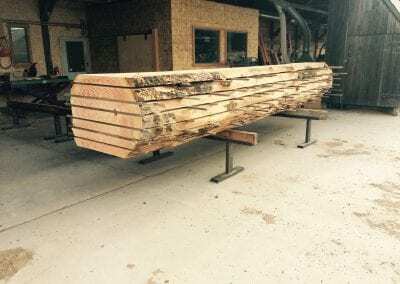 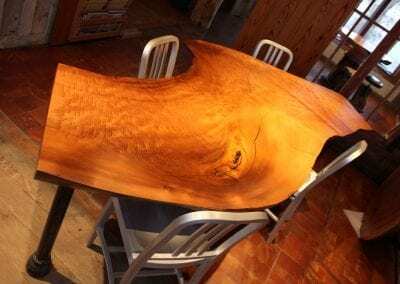 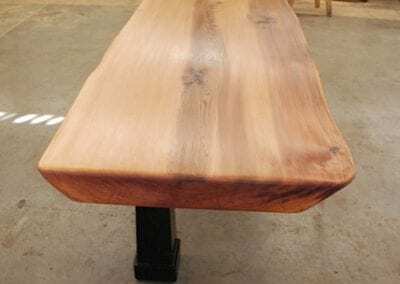 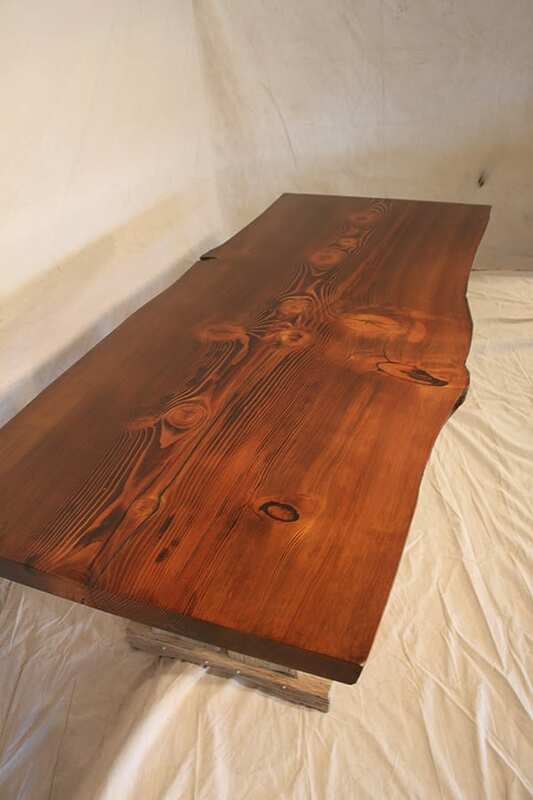 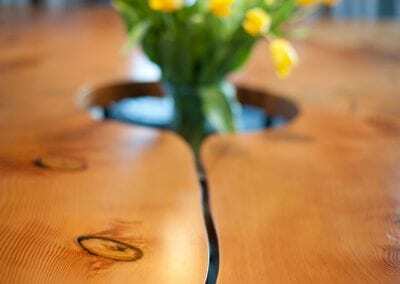 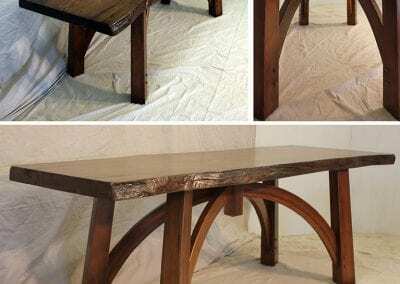 Just imagine this – a coffee table, a kitchen counter, a dining room table, a conference room table, or even a bar top built from only one piece of wood. 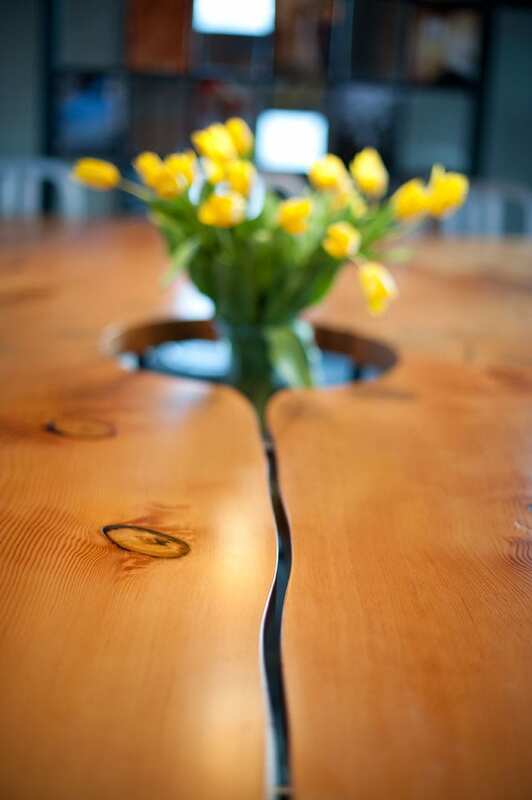 If this appeals to you, stop by or give us a call. 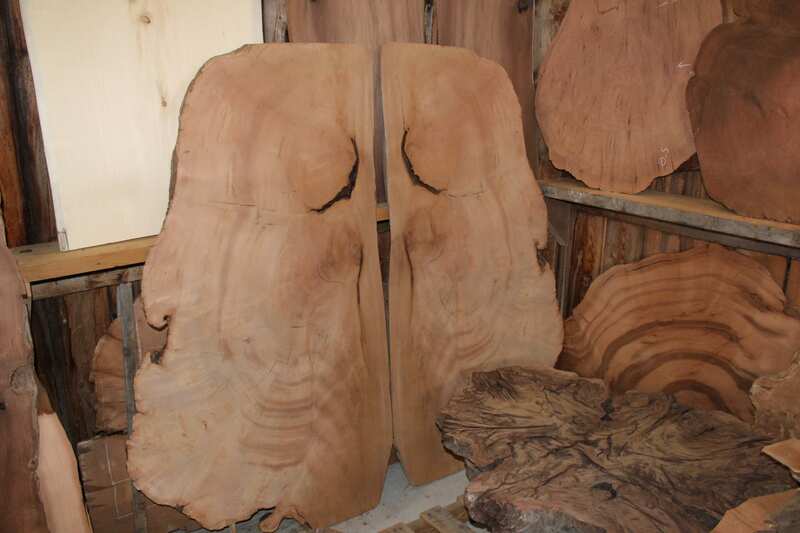 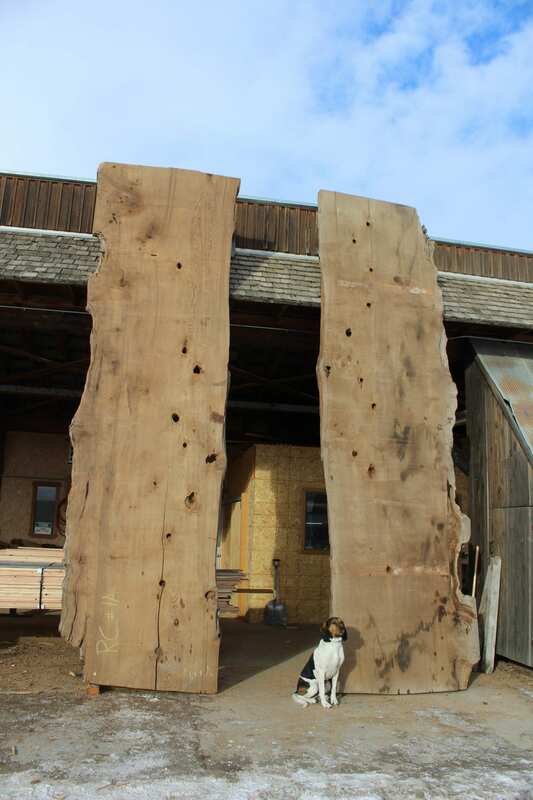 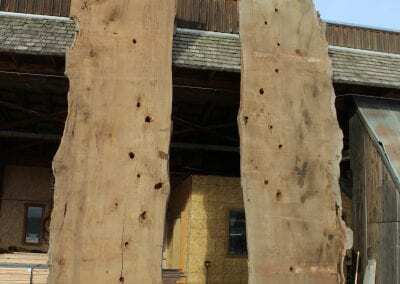 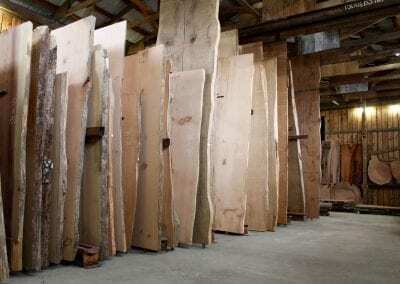 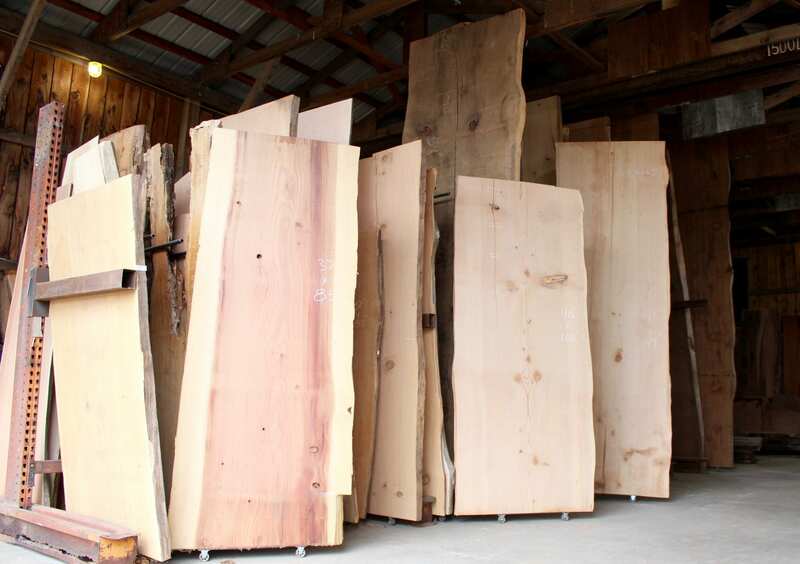 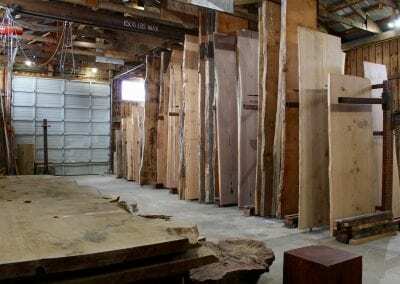 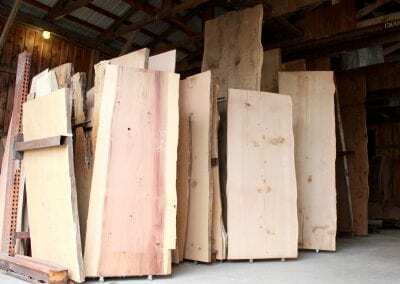 Choose one of our beautiful live edge wood slabs for your home or business, and we will collaborate on something truly incredible just for you.